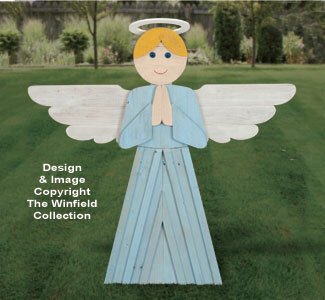 Make our exclusive Praying Angel display from free shipping pallets! Display this divine project in your yard during the Christmas season or all year round. Using wood from recycled pallets just makes sense...not only do you save money making this great looking display but you also help the environment by saving trees and keeping used pallets out of landfills. Plans include full-size patterns and step-by-step instructions that will ensure your success. Paint using color washes that show off the unique character of the pallet boards or simply using solid colors. 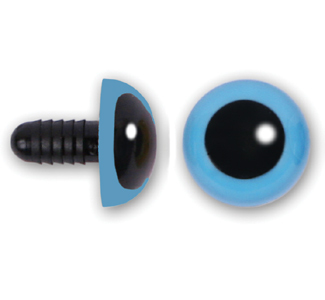 Uses two of our 24 mm plastic blue eyes (Item #PE116). Angel stands 43" tall.